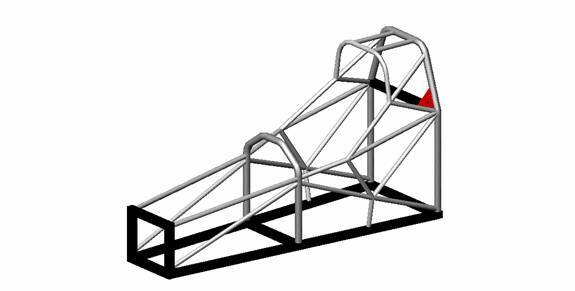 To ensure the safety of the driver, all FHS teams are required to use a basic chassis design as the starting point of their design. This ensures that all roll-bars, frame-rails and bracing is in the appropriate placement. All teams must build this basic structure, with all frame members present, to a tolerance of +/- 1” of stated location. All tubing wall thickness is .083”. Teams interested in obtaining the 3D CAD file must contact Formula Student through the contact page.